Since I love geography, we'll be seeing the Challenge Team throughout the day based on their location in the United States from east to west! Say hello to Vera Wirianta Yates who lives deep in the heart of Texas in the metro Houston area. This is the fifth of nine posts on this blog today (every two hours from 4 am EDT to 8 pm EDT) where the MFT Challenge & Inspiration Team and our October Guest Designer (you'll get to meet her at 2 pm!) will share Christmas and holiday cards and tips. On each post, we'll be offering AWESOME prizes including My Favorite Things holiday favorites from the past as well as brand spanking new products from the October release that won't be available until next Tuesday. Yep, this is your chance for a sneak peek! Details for how you can get your to chance to win can be found later on in this post. 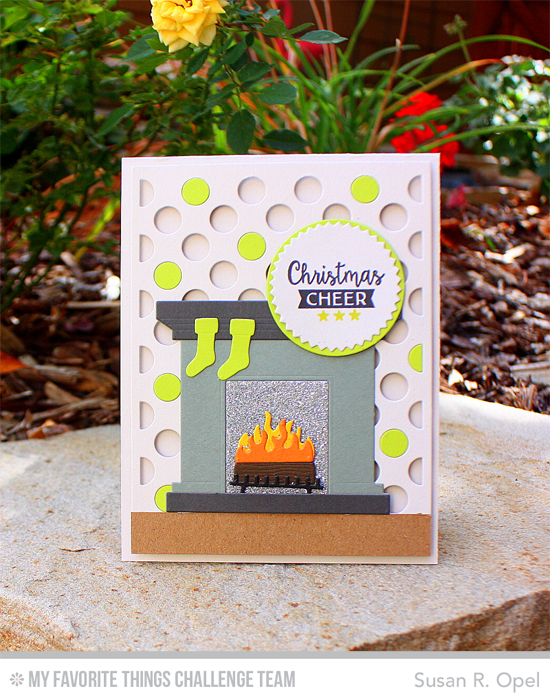 Check out the card that Vera created for today! "From the moment I saw this Santa Elves set, I knew right away that I wanted to pair it with the Tag Builder Blueprints 4 Die-namics to create a festive shaker card. In my head, elves love happy, shiny things. Just like my shaker tag! 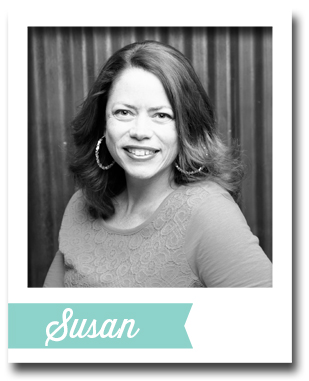 "What I really love about the Tag Builder Blueprints 4 is the fact that you can mix and match the inner parts. On my card I used the matching rectangle tag, but you can always replace it and use the small circle one or the fishtail one instead." For the 6th year, Vera is hosting her annual Caring Hearts Card Drive. Vera started the card drive in 2010 in honor of her mom. Now she has teamed up with the talented and generous Jennifer McGuire. The purpose of this card drive is to collect handmade holiday cards for the elderly to let them know that they're not forgotten. We all love making cards and this is such an awesome way to share our love of card making to brighten other people's holiday. In 2010 we collected about 750 cards and last year we collected over 17,000 cards and even branched out to Australia. Check out the card drive details HERE. While we are over here celebrating World Card Making Day, the My Favorite Things October release is hitting the Internet with full force at the My Favorite Things blog. Make sure to visit yesterday's post HERE and today's post HERE to see new products and the awesome projects created by the amazing My Favorite Things Design Team! You have until Monday, October 5 at noon EDT to leave your comment. All winners will be announced here on our Tuesday, October 6th, You've Been Spotted post. We can't wait to see what you're creating so be sure to use #mftstamps and #WCMD2015 when posting your cards on Instagram and feel free to post in our My Favorite Things Facebook group or MFT Challenge & Inspiration Facebook group. Happy World Card Making Day from My Favorite Things! See you at 2 pm EDT! He is SO cute with all of that sparkle behind him! LOVE the new Santa dies in the giveaway! Gorgeous card and stunning coloring! And I love shakers! Wowsers, thoseprizes ate just FABULOUS!!! He is adorable!!!!!! Love your coloring. Very cute card. Good luck with the card drive! Love how you colored him! Great idea with the card drive. Very thoughtful. Oh my that coloring! Gorgeous! What a fun day! Thanks MFT for great prizes and a fun way to spread the card making love! Happy WCMD! 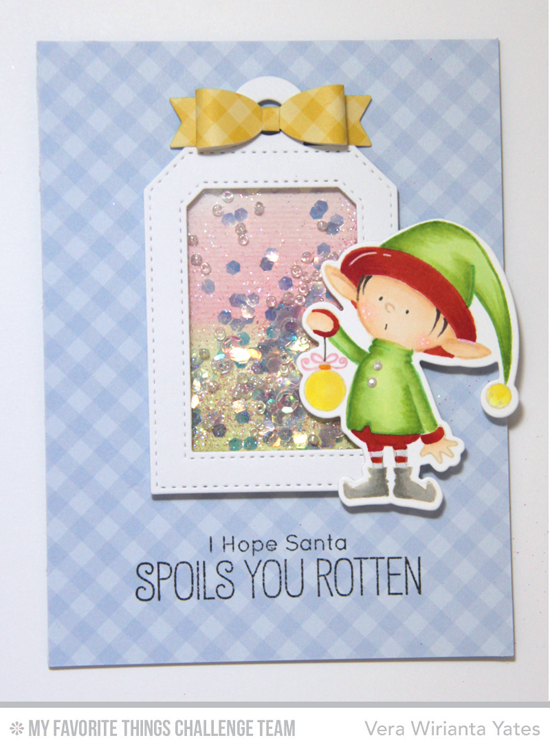 LOVE shaker cards.....LOVE that super cute little Elf! OMG! That is the sweetest shaker card! Just as sweet as Vera! That elf is just the cutest! Fabulous card, Vera! I can't wait to participate in the Caring Hearts Card Drive. Such a great cause! Love the Santa elves! Super cute card. oh, cute little Elf.....what a fantastic festive card! Great no-lines coloring! This elf set is super cute!! I love the Santa suit dies; and everyone can use Christmas sentiments!! Thanks for a chance to win some Christmas goodness! Happy World Cardmaking Day!! This card is just Amazing.I love your no-line coloring and I love your shaker part.Just fabulous.Thanks for the chance to win.Hugs from Sweden! I absolutely love the Shaker part. The colors are perfect. I haven't tried no line coloring yet. TFS! Oh those elves, I want them NOW lol! Vera's shaker card is gorgeous, as is her no line coloring!! Your elf is so cute and love the shaker! Fun prize too. Happy WCMD! So sweet! Love this new sets! Happy WCMD! I need the elves, too cute!! Love your card Vera!! Looking forward to participating in your card drive again this year!!! I love these little elves! How cute!! I love this card too... great color technique on the elf!! Wow awesome love the coloring of the elf. Totally amazing card! Amazing technique! What a great card! Love the elf. I am loving the cards of these talented ladies. I have finished coloring my tropical birds and now to get them onto cards! I love MFT!!!!. Always so generous with great customer service!!! Happy World card making day. Vera's card making cause it wonderful. I participate in a local one here at home. Beautiful shaker card, Vera! I love this pretty sequin mix and the elf is just adorable! Great coloring and what a great cause! These elves are so cute. Love the new die set!!! what a unique color combination! cute stamp set! Love that little elf. So cute. Awesome card...love this new elf and the cute shaker. What an adorable elf! I love how you used the tag for a shaker element. Love the idea behind the Caring Hearts card drive. Love the coloring of the elf and the shaker! I love the creativity that comes from using the blueprints! So. Many. Possibilities. Those elves are full of preciousness! 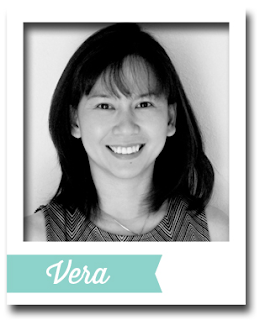 Vera- love your tag shaker card, that is so awesome!! I also love the caring hearts card drive and will do our best to send some cards your way. What a beautiful and caring service!! I love the mix and/or match use of the Tag builder set. So many creative possibilities. Love your tag card. Love the card - and the Santa suit dies. Vera's card is beautiful, love the little elf. And those santa dies look so cool!! LOVE Vera's card. So cute! Vera your card is so adorable love your coloring !!!! That lil elf is so cute. Too bad I don't much like coloring. Bad wrist. I'd totally love the Santa die set. Vera, your card is adorable .... that little elf, must have! Love the card!!! So happy to see this card drive again! This little elf card is adorable! The shaker element is a cute touch. Such a cute card - I love these elves! What a beautiful card!! Thank you for you caring idea of creating a handmade card drive for the elderly!!! Absolutely adore this card, the elf is adorable!! Great card! Love that sweet little elf! The elves are so cute and I love your color choices. Nice card!! This little elf is adorable! And such amazing coloring! Cute card, I love that little elf! The new elf set is too adorable. I love what Vera did with the coloring that little guy too! I am a Birdie Brown addict! The new little elves are so sweet! They are just adorable, like all my other BB sets!! Super cute card, Vera! Have my eye on the Elves set and love the tags! My wish list keeps on growing ... I really want those fun holiday senitments. What a fun shaker. Love the coloring on the sweet little Elf. Thanks for the great giveaway! Love the Santa Suit! Adorable shaker card--love the coloring. Love the shaker and beautiful coloring in the cutest elf!!! Love all the sparkle in your shaker! That elf is beautifully colored! You used this cute little elf in a most adorable way! Your card is adorable, Vera, the shaker is fun! and great giveaway! OMG, That elf is so adorable! Fabulous card! The elf is so stinkin cute, and oh my... the new Santa suit dies are so cool! And I'm glad to see the Caring Hearts card drive was featured. That little elf is so adorable, and I love the shaker card design! The elf is adorable. Lovely card! Awww how sweet is that little elf, Love it! CUTE;) And the idea for the caring hearts drive is an awesome one. I donate to or local nursing home and the residents love the creations. Making up little handmade kits for bingo day is a great time. Oh my goodness, Vera's card is so cute - I just can't resist cute stamp sets - these elves are a must-have. Thanks for the inspiration. This one is so cute. I think Santa's Elves are my favorite this new release. They make me smile. Beautiful coloring on your elf! What a great charity to support! Your card is beautiful. I hope it's okay that I shared your card drive on FB. What a great thing. Two of my favorite techniques: shakers and no line coloring. Beautiful! Love your little elf!!!!!! I love the shaker tag and the cute elf! I don't have any stamps in the subway art arena so would love to win this one! That elf is just too cute. Love your softly colored shaker element, too! Super cute!! Love the little shaker tag!! Love these sets! I don't know how Vera colored that elf but man I wish I knew, it's awesome! Such a cute gingham bow! Love the shaker tag on the card - very creative! Love the Santa die. You did a great job of coloring the elf. Makes a cute card! Vera, what a sweet card! Was happy to participate in the card drive last year (and win a prize from none other than Jennifer) and hope to participate again this year! Very sweet shaker! I am very interested in the card drive as well! Thanks for sharing! What a great cause (Caring Hearts Drive), and with Jennifer's involvement, it's guaranteed to be a success! This is to cute. The new stamp set is just amazing, and so is your card! Beautiful! Beautiful shaker tag. Love it!! Cute elf!! Thanks for sharing about the card drive. I love shaker cards! This is so cute! I am joining the card drive as well - I just found out about it - thank you so much for your sponsorship! It's a great cause! I hope to participate in the card drive. Such a cute elf and love that you made it into a shaker card.